Girl Reading Book. I'd love to see this statue!. 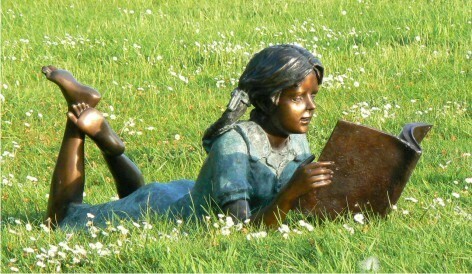 Wallpaper and background images in the boeken to Read club tagged: girl reading book statue books to read image. I'd love to see this statue! This boeken to Read photo contains kruiwagen, tuin wagen, gazon kar, barrow, and tuin kar.